Paramount Theatre Austin | Is There Life After Lubbock? Jaston Williams is the author and co- actor of the two person Greater Tuna plays, Greater Tuna, A Tuna Christmas, Red, White and Tuna and Tuna Does Vegas, all four of which played across the U.S. for over thirty years, with stops off and on Broadway and in such venues as the Kennedy Center, Fords Theatre, The Alley Theatre in Houston, Pasadena Playhouse in L.A, American Conservatory Theatre in San Francisco, The American Spoleto Festival and as an official American entry to the Edinburgh Festival, as well as two command performances at the White House, (back in the time when such a thing was an honor). He also wrote the screenplay and performed in the Norman Lear H.B.O. version of Greater Tuna. The Tuna plays are still among the most produced scripts in America offered in the Samuel French catalogue and A Tuna Christmas was chosen for inclusion in Best Plays of 1995. In a forty-year career, he has performed in plays running the gamut from the avant-garde works of Eugène Ionesco to the joy of musical comedy. For his recent solo work, Jaston was recently awarded the national Marquee Award for Outstanding Contribution to Historical Theatres. He is a seven-time nominee for the prestigious Helen Hayes Awards, which recognizes and celebrates excellence in professional theatre; a recipient of the L.A. Drama-Logue Award, and the San Francisco Bay Area Critics Award. He has also received the Texas Governor’s Award for Contribution to the Arts in Texas, and the Texas Medal of The Arts. He holds an Outstanding Alumnus Award from Texas Tech University, where he is guest lecturer on the subject of playwriting. Jaston’s post-Tuna career has featured a number of original performance pieces presented coast to coast and which range in subject matter from his father’s nervous breakdown the night the Beatles appeared on Ed Sullivan, to escaping down a rumbling Guatemalan volcano while being pursued by armed kidnappers, to showing up at a 1970s Renaissance Fair, held at Dennis Hopper’s house, while wearing a chicken suit and passing himself off as Michelangelo. It’s been every kind life but boring. Jaston lives in Lockhart, Texas, which is well within the Austin sphere of influence, with his husband, Kevin, and their son, Song. 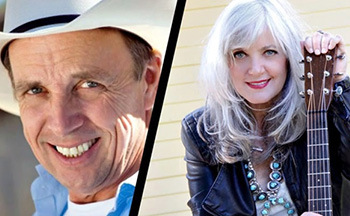 Rhodes recently released her memoir, Radio Dreams: The Story of the Outlaw DJ and the Cosmic Cowgirl. She served as liaison, consultant and donor of archives and artifacts for a major Country Music Hall of Fame Museum exhibit, “Outlaws and Armadillos; Country’s Roaring 70’s,” which opened spring of 2018. Rhodes also received a special recognition award from Mayor Dan Pope and The Lubbock City Council in May of 2018 for her achievements as a singer-songwriter, playwright and author.